In 1985 Jacqueline Kent was content with her life. She had a satisfying career as a freelance book editor, and was emerging as a writer. Living and working alone, she relished her independence. But then she met Kenneth Cook, author of the Australian classic Wake in Fright, and they fell in love. With bewildering speed Jacqueline found herself in alien territory - with a man almost twenty years older, whose life experience could not have been more different from her own. She had to come to terms with complicated finances and expectations, and to negotiate relationships with Ken’s children, four people almost her own age. But with this man of contradictions - funny and sad, headstrong and tender - she found real and sustaining companionship. Their life together was often joyful, sometimes enraging, always exciting - until one devastating evening. But, as Jacqueline discovered, even when a story is over that doesn’t mean it has come to an end. In 1985, Jacqueline Kent was living in Sydney and working as a freelance book editor. At a dinner party, she met Kenneth Cook, author of classic Australian novel Wake in Fright. The two quickly fell in love, and married in early 1987. Sadly, Kent’s time with Cook was to be brief – he died unexpectedly while they were on a camping trip together shortly after their wedding. 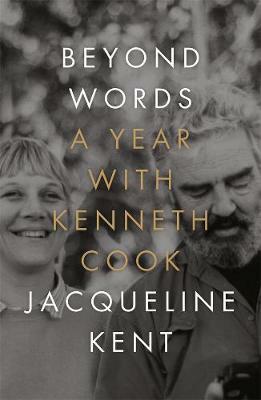 Beyond Words is not a biography of Cook’s life, nor is it a straightforward memoir of Kent’s. It is the story of their relationship and the time they spent together. Kent writes beautifully and concisely, with an idiosyncratic voice that never wavers, even when revisiting painful memories: the complex financial strife her husband was often in, the breakdown of her relationship with her adult step-children, and of course, Cook’s sudden death. As well as telling the story of this relationship, Beyond Words captures a portrait of a specific side of 1980s Australia. Kent writes as an insider of the literary world of this time, and the book contains interesting anecdotes about what it was like to write and work with writers at this time. She writes about how the industry worked pre-internet, how common it was for authors to be resistant to anything more than the lightest of edits before publication, and even how Kenneth Cook was made to go on tour in a Driza-Bone coat and an Akubra hat, two items of clothing he had never before worn in his life. This book is a delight to read, and could easily be finished over the course of a couple of days, or even an afternoon. Jacqueline Kent is a wonderful writer, and this bittersweet account of the relationship between two creative people, and of literary culture in Australia in the 1980s, is guaranteed to stay with you long after you’ve turned the final page. Ellen Cregan is the marketing and events coordinator for Readings.